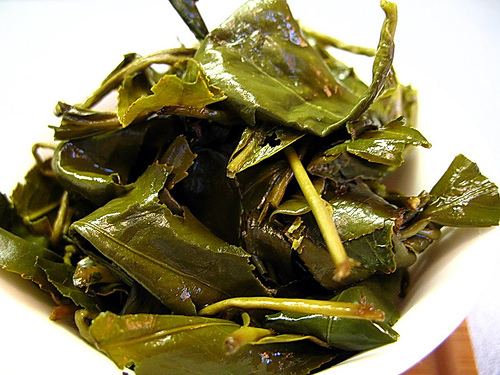 There are many ways to brew loose leaf tea. 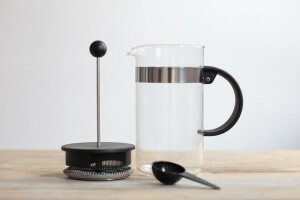 How you brew depends on your preference and what accessories you have on hand. As a standard rule of thumb you will need about 1 tsp of tea for every 6-8 oz of water. You can see our post on how use one here. 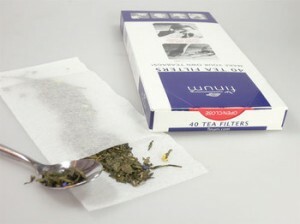 Disposable paper filters are available at many tea shops, or you can buy them online here. Measure out the tea into the filter. Fold the top into the pouch, making a sealed tea bag so the leaves dont escape. These filters can be used for a single cup of tea, or for a full pot. Fill your infuser with tea, and let steep until your tea reaches your desired strength. Metal tea infusers come in many shapes and forms. 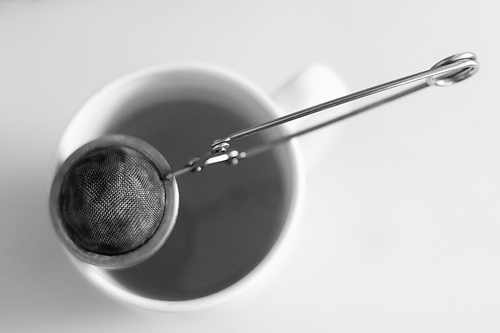 Some ball infusers are attached to a small metal chain (like a tea bag) and some are built right into a cup or pot like a basket. Some experienced tea drinkers prefer to allow the leaves to bloom freely to full size. Your tea will be stronger with this method, and you may get a leaf or two in your mouth. It’s all about preference! How do you steep? Tweet us @nourishtea. No need to lose touch with friends and family. May we suggest a virtual tea party? Dedicate one day a week for “virtual tea time” – it’s easy, brew a cup, and meet online for a video chat. If you’re short on time, make it one cup. If you’ve got a lot to talk about, brew a pot! Tell us who you would have a virtual tea party with @nourishtea. Cheers to staying in touch, tea lovers. Glass of iced tea + a warm, sunny day = paradise! With this cold brewing method, it’s easy to always have iced tea on hand. 1. Divide the tea evenly among the 2 disposable filters. 2. Put the tea bags inside of the pitcher and fill with 4 cups of cold water. 3. Let steep for at least 8 hours in the fridge. 4. Sweeten with honey, agave nectar, or other soluble sweetener to taste. Feeling stressed out? We’ve got you covered– here’s our list of top 3 teas to help you mellow out. A dark black tea can help fight hormones that are released when you’re stressed out. The active ingredient in tea that helps with hormone balance is called ‘flavanoids’. Try a cup of our Sun Soaked Darjeeling and take a deep breath. Many people swear by green tea for overall good health, but did you know catechins and antioxidants in green tea can help reduce stress. How about a hot cup of our Jasmine Dragon Phoenix Pearls and a good book? Long day? Chamomile is a time trusted herb that can help you relax. Sweeten your cup of Warming Chamomile tea with a spot of honey and kick up your feet. Which tea helps you relax? Tell us in the comments, or @nourishtea. Remember tea parties with Mom? Sweet, cool, legendary. Sound like your Mom? Enter our contest on Twitter and you could WIN your mom a triple tea prize pack! Mom will win one tin of each nourishtea: Sweet Berry Breeze, Minty Igloo and Cresting Cranes of Legend. Cheers, and good luck tea fans! Follow us on Twitter @nourishtea. Terms & Conditions To enter the competition, you must (a) be a Canadian resident; (b) the age of majority in your Province and (c) retweet one of the qualifying contest tweets. No purchase necessary. Contest ends Sunday May 12, 9PM EST. Prize is not exchangeable for cash or any other prize. Incorrectly completed entries will be disqualified. Winner will be contacted after the giveaway ends. You’ll definitely want to bookmark this Green Tea Mojito recipe before the hot summer days hit. Flavours of lime, mint and green tea will cool you down in a flash. Cheers to hot summer days ahead! Muddle the mint in the lime juice in a tall glass. Fill the glass with ice, and pour in your chilled tea. Top with a splash of soda water and stir well. Garnish with a mint leaf and a slice of cucumber. We can’t wait for summer to arrive here at the nourishtea headquarters. We can’t think of anything more summery than the sweet taste of berries, so here’s a recipe for strawberry butter to enjoy until the season arrives! Combine all of the ingredients together in a large mixing bowl and beat with a mixer until fluffy. This sweet, airy butter tastes delicious over fresh scones or tea biscuits. Nothing says ‘Sunday morning’ like stack of hot pancakes topped with butter and real Canadian maple syrup. Serve with a pot of our Canadian Breakfast tea and indulge in the perfect Sunday morning breakfast. In a large bowl, mix flour, sugar, baking powder and salt. Make a well in the center, and pour in milk, egg and oil. Mix until smooth. Heat a lightly oiled griddle or frying pan over medium high heat. Pour or scoop the batter onto the griddle, using about ¼ cup for each pancake. Brown on both sides and serve hot. Top with pure Canadian maple syrup. With a little more time in the morning, why not try something special in the kitchen? We love these breakfast burritos, especially topped with hot sauce. We’ve paired this recipe with our Cresting Cranes of Legend tea because it’s neutral flavour won’t overwhelm the spices in the burritos. Let’s eat! 1. With tip of knife, slit casing down length of sausage; push meat into large skillet. Cook over medium-high heat, breaking up with spoon, for about 5 minutes or until no longer pink; drain off fat. 2. Lightly beat together the eggs, pepper and salt; pour into pan with sausage and cook until beginning to set. Gently draw spatula across bottom of pan to form large soft curds; cook for about 3 minutes or until eggs are thickened and moist but no visible liquid remains. Stir in half of the cheese and the coriander. 3. Spoon egg mixture down centre of each tortilla; top with salsa, roll into a burrito. 4. Place seam down in a greased 13×9 glass baking dish. Sprinkle the remaining cheese down the centre of the tortillas. 5. Bake in the oven at 400°F for 10 to 15 minutes or until heated through. 6. Meanwhile, stir green pepper and remaining coriander into remaining salsa. Serve as a side to burritos. This hearty breakfast bowl will give you all the energy you need to conquer Friday. Try it served with a hot cup of our Crimson Rooibos tea, and you’re good to go! Prepare quinoa according to the package directions. Stir in sugar and spices, then cranberries and walnuts. Top off your breakfast bowl with milk of your choice. There you have it, a hot and healthy breakfast cereal that’s simple to make, and tastes great.